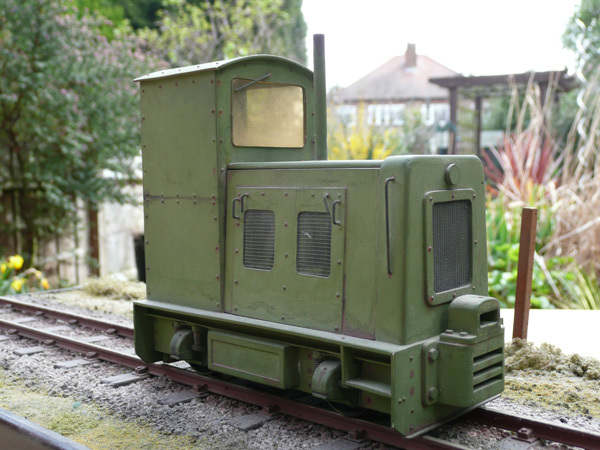 I love small industrial diesels and whilst prototypes can be found everywhere, I've tended towards 'freelance inspired by something' type models. I guess I like the feel of a model rather than an exact copy. It's sloppy, but satisfying, and this one is no exception. The model contained several interesting features (well, I thought so) and an article ensued that was published in NG&IR. The bodywork and chassis are plasticard, with nylon wheels and axleboxes from Binnie Engineering. Ever on the lookout for cheap inexpensive mechanisms, I discovered some great gears sold as replacement parts for R/C servos. Coupled with some Scalextric gears, they made a great gearbox. However, I failed to appreciate that 2-wheel drive really doesn't work and poor old Derek is incapable of pulling more than itself, but that doesn't stop it slowly trundling around on its own. A new chassis was considered, but I love it just as it is. 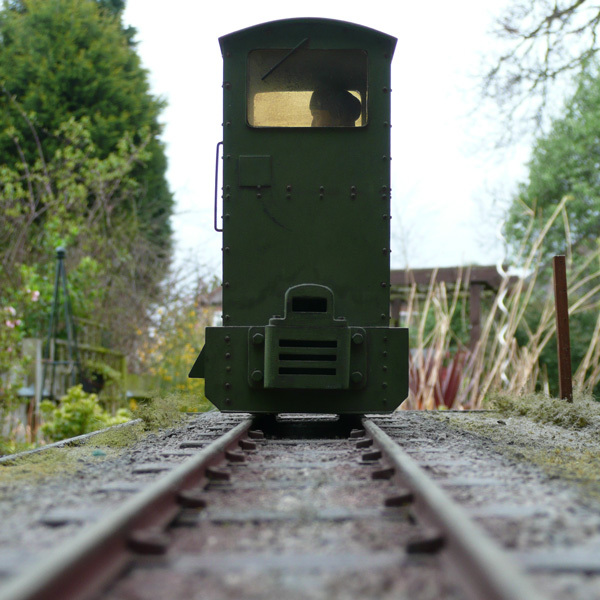 In the cab is a reversing switch and a selector for 1.5v or 3v operation. 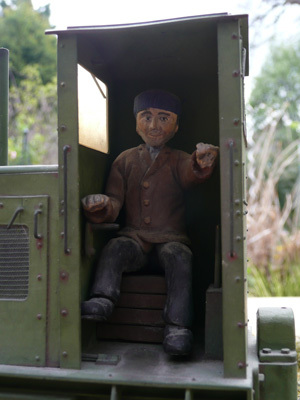 The figure (I'm not sure if he's the real Derek) is made of Fimo (childrens modelling clay). 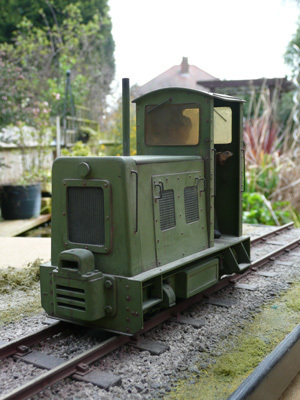 I learnt a nice 'narrow gauge lesson' with this model, imparted by Geoff T, a close modelling friend. 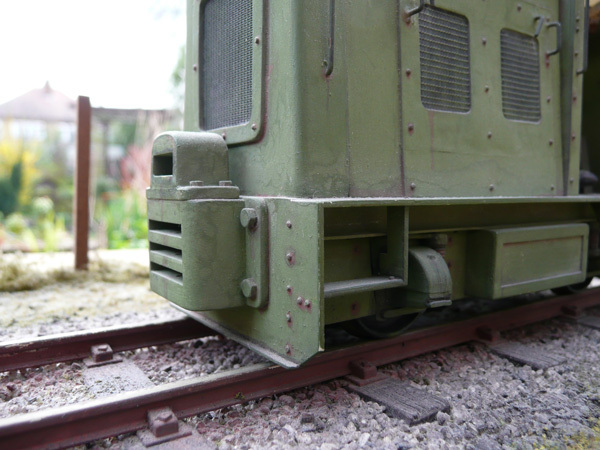 I'd made a beautiful set of prototypical buffers and fitted them on the beams, but then realised they were miles too low for the rest of my 16mm stock and was really fed up. Geoff's answer? 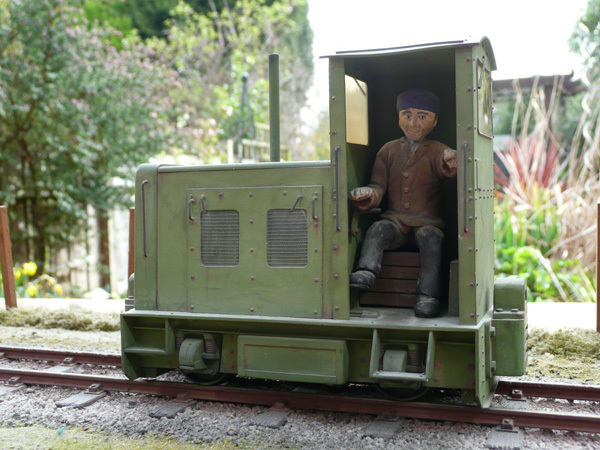 "Assume the role of the railway manager returning from the auction where the loco was purchased - what could you do?" As that manager I came up with 'cut the old buffers off and refit them higher or build something to bolt on top'. I did the latter, and I think it actually adds to the appeal of the model. 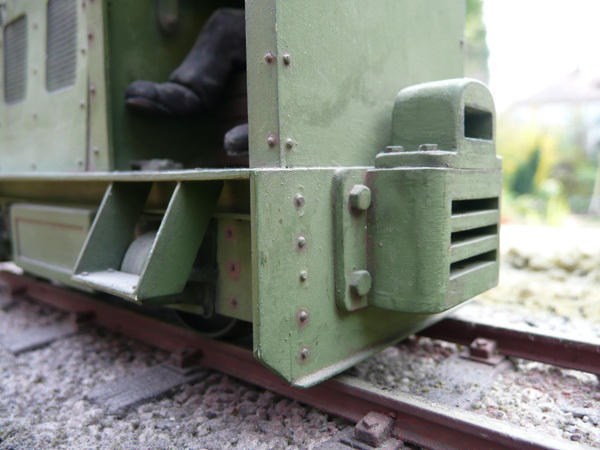 Narrow gauge is not constrained by standard gauge rules - things often had to be made to work and it's those solutions that often provide the most memorable features of narrow gauge!